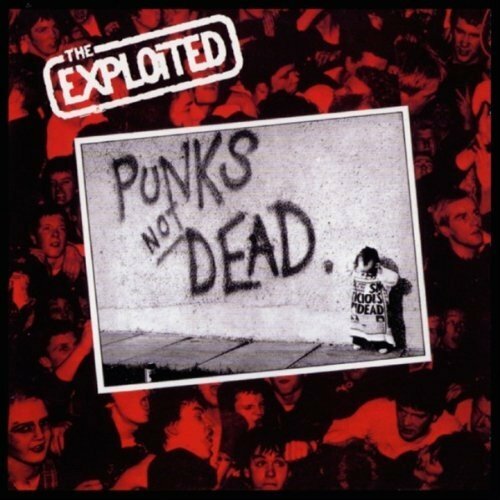 THE EXPLOITED - PUNK’S NOT DEAD VINYL RE-ISSUE (LP BLACK) | Online Shop | Wizard LTD. Album: "PUNK’S NOT DEAD VINYL RE-ISSUE (LP BLACK)"
One of the biggest selling Punk studio albums of all time; it reached No. 20 in the UK charts in 1981 and it is now coupled with one of the biggest selling Punk live albums of all time (No. 52) to give a value-for-money double CD for the price of a single one! Includes the UK National Chart hit singles Dogs Of War (No. 63) and Dead Cities (No. 31) plus the Indie Chart hits Army Life (No. 6) and Exploited Barmy Army (No. 4). Special Vinyl Remaster! Still a major force on the International Punk scene to this very day; the Exploited remain one of the most influential iconic Punk bands of all time.